Baidu is the famous search engine and number one traffic ranked site in China. Baidu predominantly offers searches in Chinese and also offers English searches in partnership with Bing. Baidu also offers webmaster tools to enable webmasters to monitor various site parameters and performance in Baidu search engine. The problem is currently Baidu Webmaster Tools is only available in Chinese which makes webmasters a bit hard to add and verify their site. 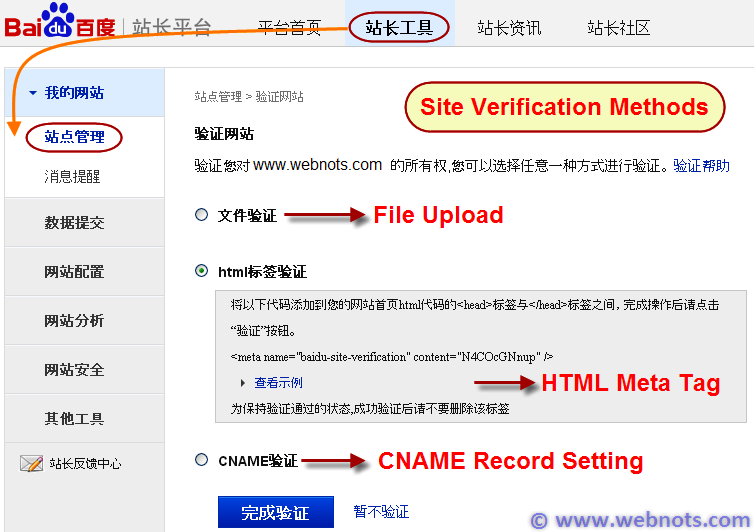 Here we eliminate the hassle of translation for webmasters and explain how to add and verify site in Baidu Webmaster Tools account using English notations. 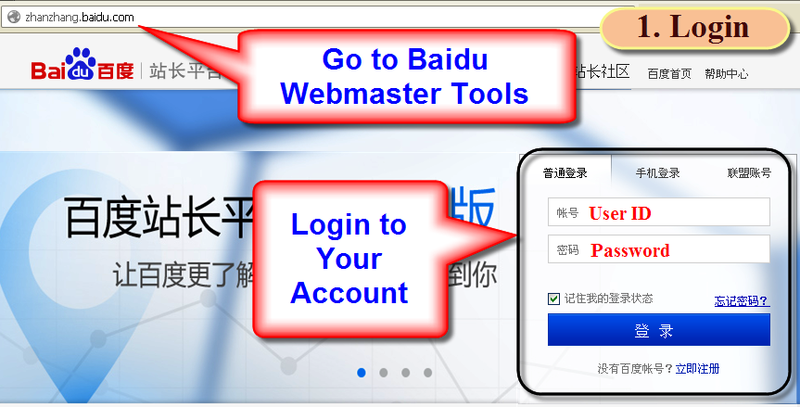 Learn more about Baidu Webmaster Tools features here in English. Once you login to your webmaster tools account, go to the first option (Site Management) as shown in the below picture. Here you can see the “Add New Site” button. Once your site is verified it will be automatically added to your Site Manager. Site Manager shows the complete list of sites under your webmaster tools account along with other details. 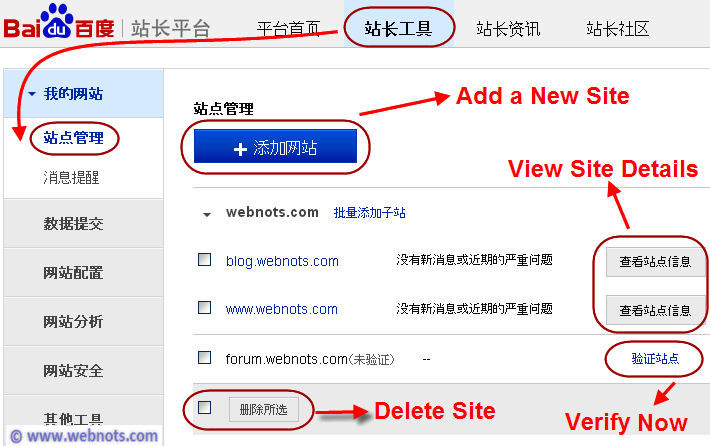 You also have an option to delete your site any time from Baidu webmaster tools account.